The "Magnum", one of the next generation of waterproof and breathable blankets and sheets by Big "D". 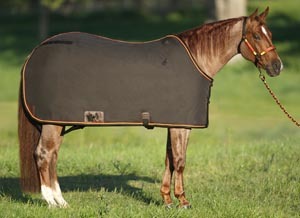 The "Magnum" is a 2100 Denier rip-stop waterproof and breathable stable cut turnout blanket. Heavy duty 210 taffeta Big "D" logo show coat liner with 300 grams of fiber insulation.